I've seen "Caption Contests" work well at other blogs, so will give it a try here. Send in, via the comments, your caption(s) (limit 3 per person) for the below image, and I'll award the books to whoever's wit most moves me. 34 years later I've finally been bowled over by another book… not as creative, ground-breaking, or Rorschach-like as Hofstadter's effort, but still a vitally important, rich read, and the author, not surprisingly, is also a Hofstadter fan. Before picking up this book I'd not heard of "Noson Yanofsky," so I was astounded that this is the best, most lucidly-written volume for lay readers I've ever encountered on the underlying or foundational topics I most enjoy, related to mathematics; including issues that cross the boundaries of math, logic, philosophy, physics, and computer science. After an introductory chapter, Chapter 2 delves into "language paradoxes" and self-reference (a topic that runs throughout the volume), including the Berry Paradox, Richards Paradox, and the 'interesting-number paradox,' in addition to even more common ones. Chapter 3 moves on to "philosophical conundrums," followed by "infinity" in Chapter 4. Chapters 5 and 6 delve into a range of computer science issues. Chapter 7, the longest and perhaps most difficult one (50+ pages), covers "scientific limitations," including quantum mechanics and multiverse ideas. This is followed, in turn, by chapters on "metascientific perplexities," "mathematical obstructions," and a final wrap-up chapter on "reason" and its limits. The writing is clear, interesting, and comprehensible, covering a lot of ground, without proceeding to such advanced elements as to throttle the reader along the way (the editor has done a fantastic job!). The book ends with 15 pages of excellent "notes" to the individual chapters, and a dozen pages of good bibliographical references (each chapter ends with suggestions for further reading as well). One Amazon reviewer wrote "Reading this book could be a mini education!" and that captures my own feeling as well. Having said all this I should note that the typical mathematician won't learn any new math here; a typical physicist won't learn any new physics, and a philosopher won't find new philosophy here... Rather, what is wonderful and well-crafted (and rare) is the weaving together of all these (and more) areas into a single tapestry on the nature of human rationality across such fields -- something I believe all students should have exposure too. To some degree most of the chapters are self-contained units that can almost be read in any order and be enjoyed, but reading from beginning to end is likely the best way to appreciate Yanofsky's progression of thought and complexity, as he puts it "from concrete to abstract." The book's subtitle is, "What Science, Mathematics, and Logic Cannot Tell Us" and that is the central, important theme of this offering: that despite the success that science, math, and logic meet in providing us with information, there exist "truths" or information which are not only very difficult to gather, but which are inherently beyond our capacity to attain. "Certainty," and the hubris that often follows it, is one of the most perilous dispositions humans can have… especially so in politics, religion, and other arenas of culture… but even within science, where empirical evidence reigns supreme, there are real limits to certainty and knowledge that need to be recognized -- I know of no more important science lesson a book can pass along, and I know of no book that does it as well as this one! And in the blog-post just prior to this one I interviewed Dr. Yanofsky. "Many books explain what is known about the universe. This book investigates what cannot be known. Rather than exploring the amazing facts that science, mathematics, and reason have revealed to us, this work studies what science, mathematics, and reason tell us cannot be revealed. In "The Outer Limits of Reason" Noson Yanofsky considers what cannot be predicted, described, or known, and what will never be understood. He discusses the limitations of computers, physics, logic, and our own thought processes." 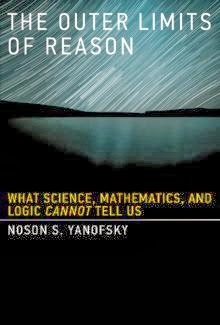 Dr. Noson Yanofsky is a professor, computer scientist, and author of the book from which the above book-flap quotation is lifted, "The Outer Limits of Reason." It is quite simply one of the BEST books I've ever read, cutting across so many important categories (logic, math, computer science, physics, philosophy). I'm thrilled to be able to present him here to give a hint of what his work is about -- you'll still need to read the book to fully appreciate the range of material he has brought together in one volume, and how well it is presented. 1) Can you tell readers a little about your background and how you came to be interested in the subjects that are the focus of your current book (paradox, self-reference, uncertainty, logic, infinity, limits of knowledge...)? I grew up in Brooklyn, New York which remains my home. I always loved popular science books so it was a big thrill to actually write one. As a teenager I was a computer geek and my undergraduate degree is in computers. My father was a mathematics professor so, to some extent, math is in the genes. (My daughter is also very good at math!) My PhD was in pure mathematics. 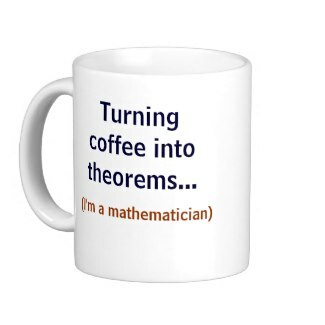 I worked in category theory and algebraic topology. Presently I teach computers in Brooklyn College and in the Graduate Center of the City University of New York. My interest in the area goes back to 2003 when I published a paper titled “A Universal Approach to Self-Referential Paradoxes, Incompleteness and Fixed Points” The paper basically contains a single theorem that is the core of all self-referential phenomena. After stating and proving the simple theorem, I give 19 different instances of the theorem from different aspects of language, computer science, and mathematics. The purpose of the paper was to show that all these different self-referential phenomena have the same scheme. The paper was very well received. The book shows -- in a non-technical way -- what this scheme is all about. Another inspiration of the book is the type of classes that I teach in college. I teach computability theory which is a field in computer science that deals with what tasks computers can -- and more importantly -- cannot perform. I also teach complexity theory. This field discusses what tasks computers can and cannot perform efficiently. These two topics form two chapters of the book. At some point I realized that all these different things are discussing limitations to reason. The book shows how all these different limitations are related. 2) The fundamental take-home message of your book seems to be encapsulated in the book's subtitle, which states that there are things that "Science, Mathematics, and Logic CANNOT Tell Us" [added emphasis]. How widespread do you feel that notion is among your colleagues? And relatedly, some in the artificial intelligence (AI) community believe that it is only a matter of time before computer scientists will be able to duplicate the workings of the human brain, while others believe that the full capabilities and consciousness of the brain will NEVER be duplicated nor fully understood. Care to comment on that schism? There is, in fact, much that science, mathematics and logic can tell us. Our lives and our civilization are, for the most part, so much more advanced and better because of all the things that science, math and logic tell us. The point of my book is that there is a lot of information that is beyond the ability of science, math and logic to tell us. It is only over the past few decades that various fields are recognizing its limitations. This is not to take away from what these fields do tell us. Nor am I saying that somehow these fields or the things they tell us are faulty. I also do not want to give the impression that science, math and logic might come to an end. Rather I am saying there are things that science, math, and logic tell us is beyond their ability. As to how widespread this inability to know is, it is hard to measure. There are reasons to believe that there is a lot more “out there” that we cannot know than what we can know. I give a few of these reasons in the book. Nevertheless, it is hard to speculate. Isaac Newton says “What we know is a drop, what we don’t know is an ocean.” Similarly John Archibald Wheeler is quoted as saying “As the island of our knowledge grows, so does the shore of our ignorance.” Newton and Wheeler are talking about what we do not know. What about what we cannot know? The vast majority of scientists, mathematicians and logicians are working in areas where they are telling us new things. There are, however, some who work in foundational issues and looking at what is beyond the ability. I think researchers are becoming more familiar with such limitations of reason. Artificial intelligence is mentioned in the book. The discussion is from the point of view that it is a provable fact that there are some tasks that cannot be performed by computers. The obvious question arises as whether human beings can perform these tasks. For the most part, it looks as though these tasks are also beyond the ability of human beings. To that extent, I tend to lean towards the point-of-view that human beings are just as limited as any computer and that the human brain is simply a very very complicated machine. From this point of view, AI should be possible. We have to get our machines to be as complicated as our mind. Although computers will never be able to do everything, I think to some extent we already have AI. Computers answer phones, Siri answers your questions, robots sweep your floor. These are amazing things that computers of even ten years ago could not do. Now someone might respond and say “This is not really intelligence! This is just following rules. Humans have intelligence.” Perhaps they are right. But perhaps they are wrong. Maybe humans are also just following rules. I think people who think that we do not already have AI just want magic. As long as they understand what a computer is doing, they do not consider it magic. As Arthur C. Clarke says, “Any sufficiently advanced technology is indistinguishable from magic.” We might already have magic. 3) Early in the book you label yourself an "extreme nominalist," meaning that you fall in a camp not only rejecting mathematical Platonism, but opting for a view that NEITHER abstract nor physical objects exist as we perceive them to. Traditionally, most working mathematicians have probably been Platonists, but I see more-and-more mathematicians today unabashedly adopting the NON-Platonist viewpoint. Again, how much resistance do you find among your peers to your viewpoint? I am not sure I would label myself an “extreme nominalist.” I think I lean that way. But to firmly put me in one camp over another is troublesome. The question of nominalism vs. Platonism/Realism is essentially an unanswerable metaphysical question. There is no way that we can tell which position is correct. For all I know I could be wrong and there is a Platonic universe (I dismissively call it “Plato’s attic”) that does have abstract ideas neatly categorized and ordered. Extreme Platonism demands that even physical objects have little Platonist tags that tell what it is. The point in the book is that there is really no reason to make that assumption. People do not have clear definitions in their head of what things are. 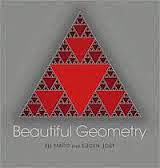 Recently, a friend, Mark Zelcer, and I wrote a paper titled “Mathematics via Symmetry” (available on the arxiv and my web page). One of the main ideas in the paper is that the seeming objectivity and universality of mathematics that justifies most of the Platonist ideology can easily be explained in another way. Anyone interested in the nominalism vs Platonism battle would gain from looking at that paper. As for what most mathematicians think, I suspect most do not worry about the nominalism vs. Platonism battle. Those who are Platonists are usually very accepting of my heterodoxy. I think we all realize it is an unanswerable metaphysical issue that has no relevance to anything important. 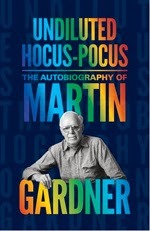 Whenever I feel absolutely firm in my nominalism stance, I like to think of Martin Gardner’s rock-solid defense of Platonism: “. . . if two dinosaurs met two other dinosaurs in a clearing there would have been four there even if no humans were around to observe them. 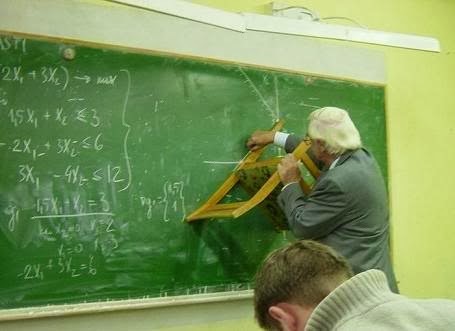 The equation 2 + 2 = 4 is a timeless truth.” Does he have a point? 4) Another writer I very much enjoy, and who I believe is on the same page as you, is retired mathematician William Byers. I was quite surprised not to see him referenced in your book nor bibliography. Just curious if you are familiar with his work ("How Mathematicians Think" and "The Blind Spot") which seems to me quite similar to yours? I am embarrassed to say, that I am unfamiliar with his works. I just looked up the two books you mentioned and they seem very interesting. I ordered them. Thank you for the recommendations. 5) Doug Hofstadter is another well-known computer scientist/writer who has dealt a lot with self-reference and human cognition (you note him in your book a few times). I'm curious if you have anything to say about his ideas, or if the two of you have had occasion to discuss your interests together? His books are a tremendous source of enlightenment and enjoyment. I think I read every book he published. I really cannot judge his ideas about self-reference, consciousness and AI. All I can say is that I hope he is right. I never had the good fortune of actually meeting him or communicating with him. 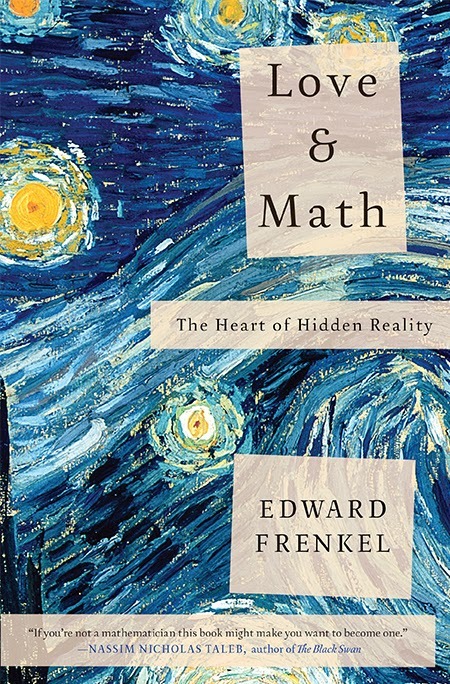 6) What are some of your own favorite popular math (or related philosophical) books to read, and to recommend to other readers? Here is a short list of my favorites in alphabetical order. Barrow, John D. Impossibility: The Limits of Science and the Science of Limits. Barrow, John D., and Frank J. Tipler. The Anthropic Cosmological Principle. Bell, E. T. Men of Mathematics. Burtt, E. A. The Metaphysical Foundations of Modern Science: The Scientific Thinking of Copernicus, Galileo, Newton, and Their Contemporaries. Davies, Paul. The Goldilocks Enigma: Why Is the Universe Just Right for Life? Fogelin, Robert. Walking the Tightrope of Reason. Herbert, Nick. Quantum Reality: Beyond the New Physics. Anything by Douglas R. Hofstadter. Kline, Morris. 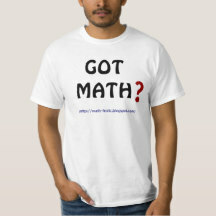 Mathematics: The Loss of Certainty. Poundstone, William. Labyrinths of Reason: Paradox, Puzzles, and the Frailty of Knowledge. Weinberg, Steven. Dreams of a Final Theory. All these are great and worth reading and rereading. But I left out a lot of other great books. 7) Your volume is the best compendium I've ever seen of the kind of information/topics you've pulled together. It can certainly be used for a classroom course, but is also written in a style that lay readers may enjoy and gain much from. Unfortunately, I haven't seen it receive the publicity it deserves, compared to other 'popular' math-science publications. Is that because you intend it mostly for an academic audience, or does MIT Press (the publisher) just not generally engage in a lot of public outreach/publicity, or some other reason? The book started as a textbook for a Core course in Brooklyn College. The course is essentially a science class for non-science majors. The title of the course is "Paradoxes and the Limits of Knowledge." It is an immensely successful course that is always fully enrolled. The students were very helpful in editing the book and making sure it is easy to read. Any part that seemed complicated to my students, I had to rewrite until it met their approval. It was a lot of fun writing the book with the students looking over my shoulder. The book is only two months old. But it has gotten much publicity. MIT Press has advertised it in many different venues and it has been getting much press. This week there was a very positive review in the New Scientist. Judging from emails and peoples responses, the book is selling and is well received by both academic audiences and popular lay readers. 8) To round yourself out a bit, when you're not engaged in mathematical or computer matters, what are some of your main interests/hobbies/activities? Outside of work and research I mostly help raise three kids. That is a full time job in itself. Other than that I do like to chill out by watching an old movie or taking a walk with my wife. 9) Personally, I wish every high-schooler in the country could be exposed to the sorts of ideas covered in your volume. What might you say about the pertinence of your material to developing an educated, thinking citizenry? I truly believe that this book could be read by any intelligent high school student. I tried to make it as easy to read as possible. I agree with you that as many people as possible should be exposed to these ideas. The preface starts off with “With understanding comes ambivalence. Once we know something, we often find it boring and trite. On the other hand, the mysterious and unknown fascinates us and holds our attention. That which we do not know or understand is what interests us, and what we cannot know intrigues us even more.” I am not sure about developing good citizens. But it is interesting stuff! I am so glad Dr. Yanofsky took the time to take part here -- and I truly LOVE his book! -- it may not entertain you as much as Simon Singh's new book on The Simpsons, nor take you to the cutting edge of mathematics as Ed Frenkel's recent volume does, nor thrill Martin Gardner fans as much as his recent autobiography has (...the 3 other volumes I've touted a lot lately), but this is a fabulous, rich read that cuts across so many important boundaries, it ought NOT be missed!